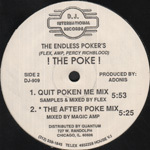 Mid-�80s Chicago spawned a new, raw sound in dance music; the result of two seemingly conflicting trends. 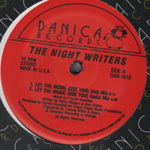 There was the pure disco energy of Frankie Knuckles and the Warehouse. Meanwhile, under the Michigan Ave. bridge, Ron Hardy was showcasing the new, stripped down electronic sound emerging from the streets at the infamous Music Box. This was dance music at it�s most essential, created with the minimum of resources - an 808, a 303, and maybe some other second hand keyboard out of the local pawn shop. The result was dance floor magic. Proudly wearing their influences on their sleeves (Italo, High Energy, and Disco classics), a new generation of producers sprang up. The sound ranged from hard, minimal club bangers to deep, introspective soundscapes. 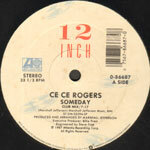 The mid- to late-�80s were a vibrant time for the Chicago sound, exemplified both by the range and quality of releases on local labels and the wild club scene. BEYOND THE CLOUDS - Original issue of this seminal EP from 1986 from one of the true innovators of house music. As with most TRAX pressings there is some noise from the vinyl. 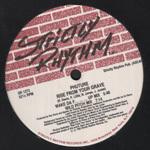 Classic ROY DAVIS / DJ PIERRE Production from 92! It's all about the Acid version without the MC - which plays fine! US PLAY HOUSE 12 inch Company Sleeve - £10 VG+ in shrink! US FIERCE 12 inch - £6 Mint Unplayed! Sample free remake of DUM DUM. Original issue! 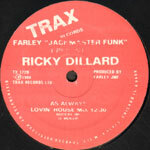 Classic early Chicago which samples Prince & Funkadelic - The DJ Harvey remix of HOUSE NATION was based on this! 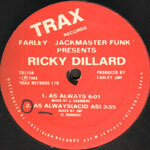 Classic early Chicago house sound! US D. J. INTERNATIONAL (Brown) 12 inch - £8 Nr. Mint! US PLAY HOUSE 12 inch Company Sleeve - £10 Nr. Mint in shrink! Acid House from Duane Thamm Jr. 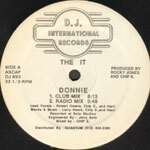 US HOTMIX 5 12 inch Company Sleeve - £8 Nr. Mint in shrink! 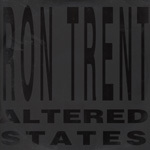 US SUNSET 12 inch - £18 WOL - vinyl clean! 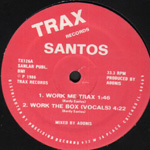 US TRAX (RED) 12 inch - £15 Real nice clean copy! US TRAX (Red) 12 inch Company Sleeve - £10 Nr. Mint in shrink! 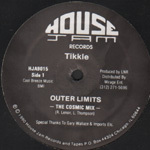 2 classic soulful house tunes produced by MARSHALL JEFFERSON! US ATLANTIC 12 inch Promo in Company Sleeve - £15 Mint Unplayed! Amazing acid meets Chicago piano style tune which still sounds fresh. 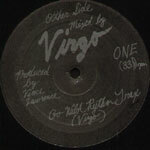 US OTHER SIDE 12 inch With Official sleeve Sticker - £4 Nr. Mint in shrink!